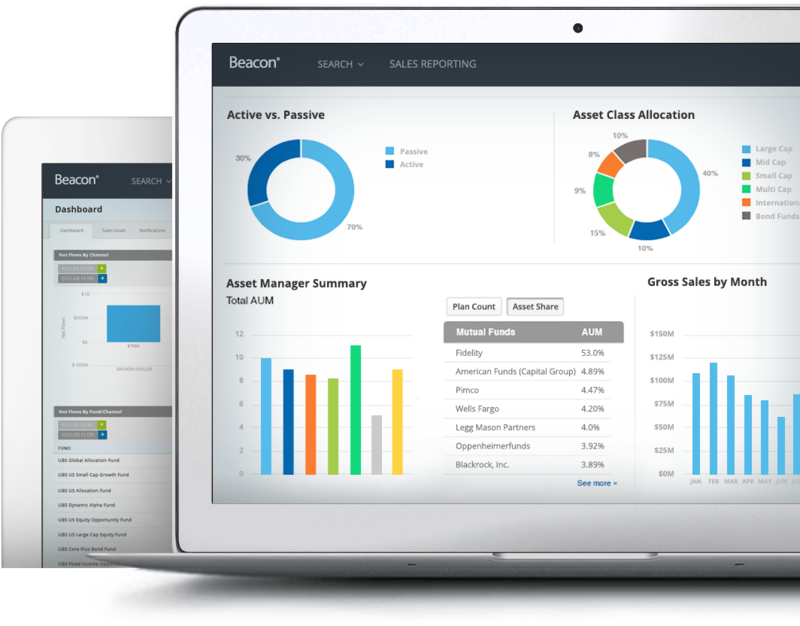 With BrightScope, asset managers transform the way they see, understand, and leverage their data to drive more targeted and effective distribution efforts. Experience the benefits of a single, integrated solution across DCIO, Retail, and RIA channels and watch sales efforts skyrocket. 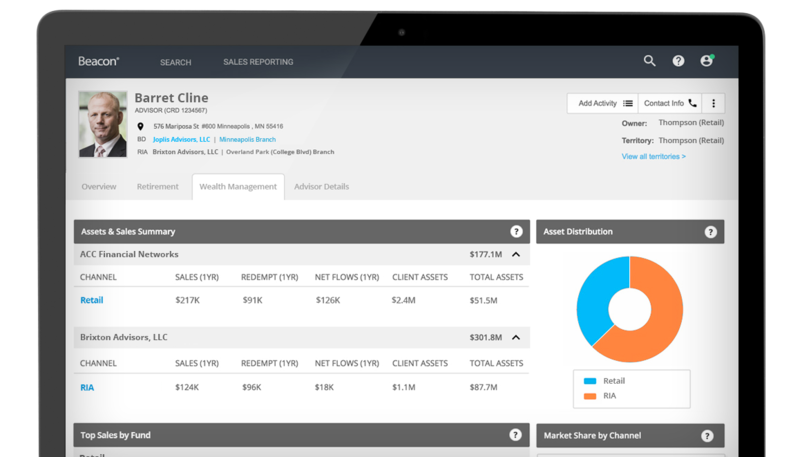 Shorten sales cycles with up-to-date insights into what products an advisor is using today, how utilization is changing over time, and where new opportunities exist for your products. 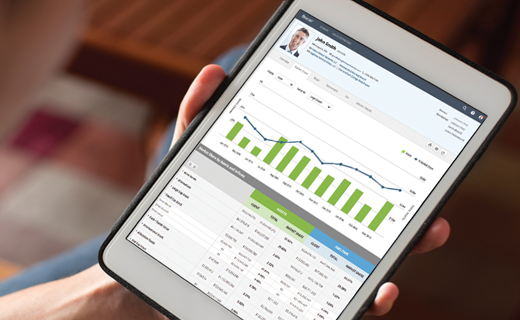 See the most relevant and actionable data specific to you and your team. Quickly understand assets, flows, and market share by territory, product, platform, advisor, and more. Be a technology leader, not a follower. 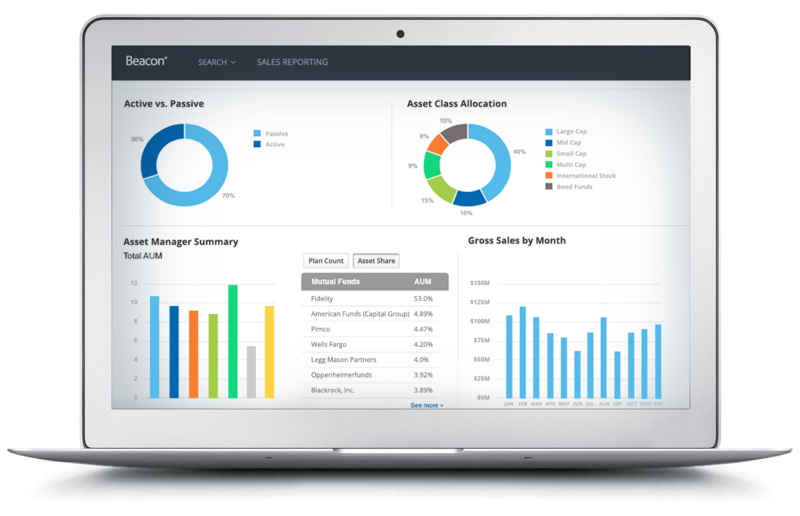 Through the advanced integration of data from internal sources, third-party sales files, and market intelligence across all major distribution channels, BrightScope's comprehensive solutions help asset managers distribute products more effectively. Demand more from your data. The financial services industry is complex, demanding, competitive, and buried beneath tons of data. Don't let data paralysis set in. Tame the data beast with BrightScope's integrated solutions. Make faster, data-driven decisions armed with up-to-date, comprehensive, and actionable insights available when, where, and how you need it. Know your client better with trended sales insights and the right message to help them drive business. 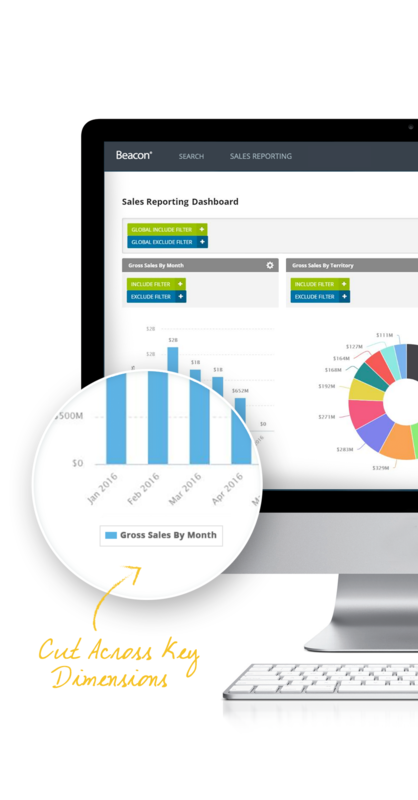 Boost sales efforts with a single version of truth across all sub-accounting and internal data sources. 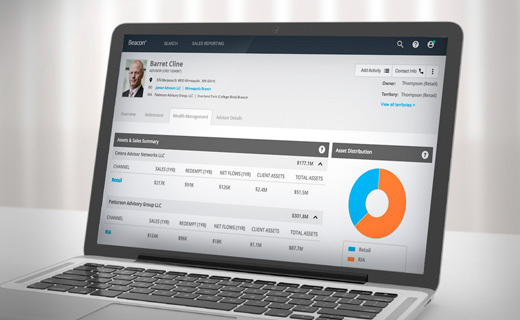 Change the way you interact with RIA's with daily updates and enhanced categorization and segmentation details. Solutions to tackle your most demanding initiatives. Top financial institutions trust BrightScope for their business needs. "We continue to be pleased with the direction and expertise of the BrightScope team." "The tool has the ability to provide a lot of great insight on advisors and plans, therefore helping the sales team to better navigate their territories and opportunities..."
"With the addition of NEXUS to the BrightScope product suite, I find a lot of additional value being provided and utilized for our work as a DCIO sales force."